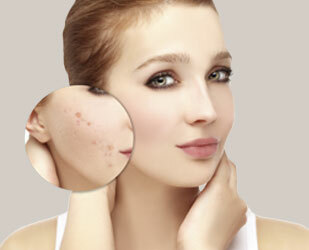 The single most common condition seen by dermatologists is acne. However, the acne care you receive from an esthetician might be a more effective option. And certainly an esthetician’s approach will compliment that of the physician. The go-to response for doctors is a prescription. With acne, the dermatologist might prescribe antibiotics, retinoid, Benzoyl Peroxide or Accutane. But often, these medicines are only Band-Aids for bigger underlying problems. My mentor, Christine Heathman, CEO of GlyMed Plus says, “We do not have acne because of a lack of antibiotics in our system.” Don’t get me wrong, some dermatologists do offer non-prescription options, but probably not to the extent you’ll get with your esthetician. As an acne specialist who was called “pizza face” as a kid, this issue is personal to me. That’s why I’ve trained on acne care so extensively. But estheticians, in general, take a more holistic approach to any skin issues, including acne. We study the ingredients in skin care products that contribute to clogged pores, environmental factors that contribute to irritation and inflammation and lifestyle influences. We monitor treatment modalities that have the best success. At Reflections Laser & Wellness Center, we use the GlyMed Plus DermaSound machine that utilizes ultrasonic vibration and has been clinically proven to reduce the acne bacteria 98 percent. One size does not fit all. Everyone is different, and every treatment program is customized to the individual. An esthetician considers many aspects of an acne patient’s life. Do you wash your face every morning and night? Are you facing stressful challenges? Are there fluctuations in the weather? Are you pre-menstrual? What about your diet? A colleague of mine had a patient that came to her with terrible cystic acne on her chin and jawline. Her dermatologist had treated it repeatedly, but it kept coming back. My colleague asked her about dairy consumption, so the patient cut out dairy consumption for two weeks. And guess what, it cleared up. Sadly, the doctor told her that it’s a myth that diet can affect your skin. So what about treatment from your esthetician? Facial treatments, for one, can clear up pores and remove dead skin. A facial often includes deep cleaning, exfoliation, facial steams, massage and more. In addition, extractions clean out non-inflamed pore blockers for smoother skin and prevention of infected pimples. And self-care advice is always in the plan including your daily skincare regiment, diet, stress reduction and other lifestyle choices. If you need a dermatologist, especially in extreme cases, a good esthetician will refer you to one. But consider an esthetician before you go down the medical route. If you’re like most people who want to look and feel good, you probably exercise regularly, follow a nutrition plan, take care of your teeth and maintain a skin regimen. But as we age, it becomes even more challenging to achieve the results you want, not to mention what happens during the holiday season. Nutrient Body Sculpt may be the answer. When it comes to skin care, antioxidant serums are among the hottest products on the market. These serums are designed to fight free radicals that cause oxidation, dark spots, fine lines, reduced cell turnover, inflammation and other skin issues. Now, there is a similar solution that can impact your entire body the way antioxidant facial serum impacts the facial skin. 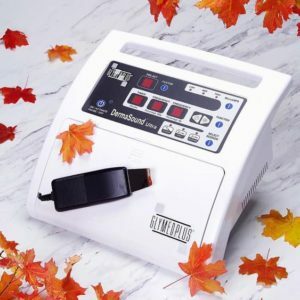 Nutrient Body Sculpt is a unique, revolutionary system developed by Dr. Kedar Presad, one of the world’s foremost experts in antioxidant science. This system is the perfect compliment to eating a balanced diet and an active lifestyle. Here are five reasons to consider Nutrient Body Sculpt. 1) It’s non-invasive and pain free. A Nutrient Body Sculpt is a topical treatment that lasts one hour. During the session, micronutrients are applied to the skin to be absorbed over time. The body is then wrapped in custom bandages (latex-free) that are stretched across targeted areas of the body. 2) It tightens and tones. A Nutrient Body Sculpt is your secret weapon for slimming into confidence and giving your regular weight loss and toning programs a boost. You will probably see results after just one treatment, but because toxins and interstitial fluids eventually accumulate, we recommend regular sessions to achieve long-term benefits. 3) It’s an all-natural solution that softens the skin. Each of your body sculpting sessions include a mineral-rich, easily absorbed application with Vitamins C, E, B3 and B5 as well as green tea and embolic fruit extracts to deliver a healthy, hydrating experience. Essential oils and sea salts may be used to help tone and soften the skin. 4) It helps you feel good. A Nutrient Body Sculpt relaxes your body. However it also aids in metabolism, meaning you have more energy… on top of shedding inches. 5) It has other health benefits. A Nutrient Body Sculpt builds enzymes, supports the immune system and enhances your overall well-being. Reflections Laser & Wellness Center is the only licensed Nutrient Body Sculpt provider in the Palm Beach and Martin County area. Call us today at 561-221-1462 to schedule your first session today.